I think it’s a safe bet to make that cutlery items will be the most numerous in any backpackers gear box. I’ve long handled aircraft grade aluminium spoons, LMF sporks, folding titanium foons, sliding sporks, NT wooden spoons, a selection of use once cutlery collected from various salad meals, and GSI lexan bits and bobs. I even picked up a plastic spoon from Kenwood House recently – like I really needed to add to my collection! It’s the spoon from the GSI set that’s been my go-to item, it weighs 12g and is of a decent size for eating with. The only issue I have is that its handle is too long to fit in my canteen so has to be carried in my ditty bag. And even then is not a good fit (I use a 1l dry bag for all those odds and ends). 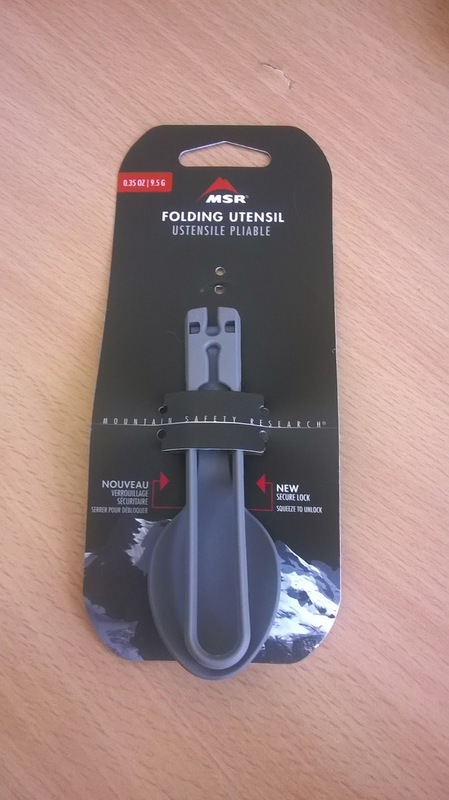 I came across the MSR folding cutlery set whist searching for something else and decide to purchase a spoon and give it a try. The set also has a spork and fork, and are colour co-ordinated with other MSR cookware. Their folded length is 12cm and they weigh 10g. The spoon is currently nesting happily in my AGG Three Cup Pan, along with an AGG Pepsi can stove, pot lifter, lighter and GSI Cascadian Cup making a complete canteen set up. I’ve yet to try to see whether it will integrate with some of my other set ups. But looking at my smallest capacity system, a set up based around my Snow Peak 600 mug, it fits in the mug with my Coleman F1 stove but a small (200g) gas cartridge no longer fits snugly in as it did without the spoon. I rarely use that as a cooking pot preferring systems based on the larger Snow Peak 900 these days. It’s a long handled spoon, being twice its folded length, which is handy if you use a freezer bag cooking method or eat retort meals. The only downside I can see at the moment is that the bowl of the spoon is smaller than the one I’m used to. Like the 9Bars that I blogged about here, these have become a lunchtime stable and have found their way into my rucksack. There are three varieties but the two that I favour are the oat & syrup and chocolate chip. The four biscuit pouch has 188 calories and circa 24g of carbohydrate, the slight variation is because the choc chip ones have a little more CHO. And, of course, they are gluten free. 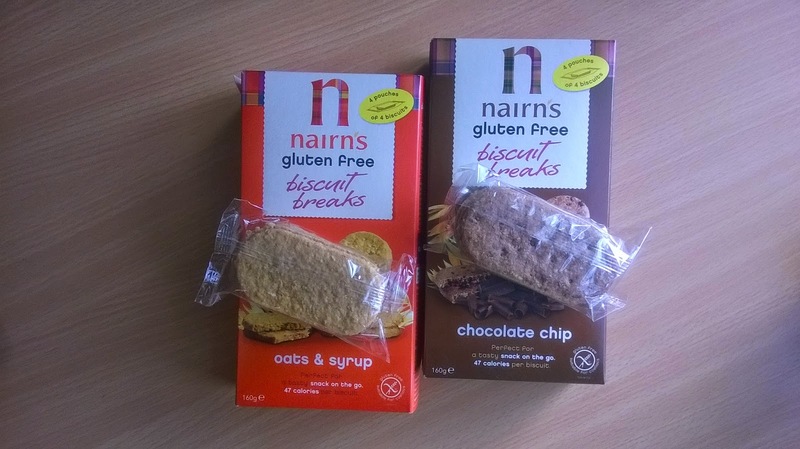 The biscuits have a great crunch and texture with the oat & syrup winning on the latter. Although I’ve not tried it yet the oat & syrup ones would make a great crumble topping on some stewed apple, with some Bird’s Instant Custard on the side - yum! It’s annoying having to replace lost kit. Tent pegs and other small items can get lost amongst the grass but losing an adult sized black baseball cap is hard to reconcile. Not wanting to be without some sort of weather resistant head gear I popped into Cotswolds for a replacement. Despite stocking TNF Apex items they didn’t do the cap that I blogged about here. The Lowe Alpine Jetstream 2.5 cap was the best of what was on offer. 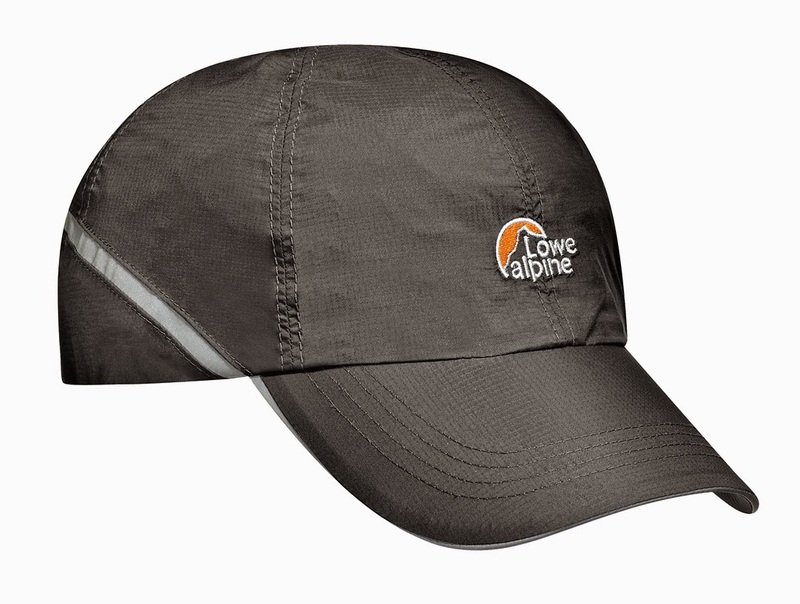 The cap comes in one size, is water and windproof not water or wind resistant like the former, being made from Lowe Alpine’s Triplepoint material with sealed seams, and a wicking Dryflo headband. (Another Lowe Alpine material that they use for base layers.) It weighs 50g so is 10g lighter too. There is a single pull elastic toggle to tighten the headband at the rear for when the wind picks up, and a reflective strip. This is clearly meant for those who go out in the dark for a run. But is also handy if you happen to find yourself on an unlit country lane going to/from the pub/campsite as I did at the weekend. Despite the unseasonably dry, warm October weather I have been lucky enough to find some dampness this week. As I expected the material beaded well and, for me, the big win is that the larger splodges didn’t penetrate the material like they did with the Apex material because Triplepoint is fully waterproof not just resistant. The peak made an effective shield against the elements too. The only thing about the cap that’s a bit of a worry is that there is an opening at the rear approx. 80x60mm in size which leaves that part of my head exposed to the elements. But in anything more than a shower I’d expect to have the hood of my waterproof up so that wouldn’t be an issue on those occasions. Stock photograph supplied by Ascent Marketing. Being a type 1 diabetic my overriding concern when out on a hike was how much carbohydrate (CHO) I’d need to keep me going, replace the glycogen in my body, and prevent hypoglycaemia (dangerously low blood sugar levels). Over the weekend, among many of the conversations I had, one discussed weigh loss when on the trail. 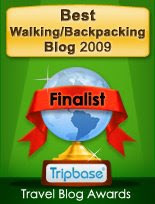 This got me thinking about the calorific value of the food I pack, and whether it met the demands of a day’s hiking. The starting point was to establish my BMR (basal metabolic rate) this is an estimate of the minimum amount of calories needed to keep body functioning whilst at rest. I used the one on the myfitnesspal website here. Once I’d established that figure, I found an Activity Factor formula which is a basic multiplier of the BMR subject to the level of activity – see below. A simple Excel spreadsheet did the trick. I’ve highlighted what I thought that would apply to time out hiking in the hills, and the formula determined that I would need 2,900 calories to maintain that level of activity. I then set about calculating how many calories I’d consumed listing them in the same spreadsheet. The outcome was a bit of an eye opener – I was short by circa 600 calories, that’s an approx. 20% shortfall. This probably is a factor in how I’ve managed to stay trim – which isn’t a bad thing. Whilst doing this exercise I also analysed the amount of CHO I consumed. This was also very revealing as it indicated that I need to increase the amount of CHO consumed at the end of the day, to top up the glycogen reserves, and to avoid an overnight slingshot hypo (never a good thing, and potentially life threatening). In this instance, the shortfall was made up with a portion of chips and a few jars of cider. But going forward I’ll be re-introducing the stalwart Bird’s Instant Custard as a pudding with a cake bar or similar, not for the calories per se as I’d like to keep my figure, but for the necessary CHO loading.